YAML is a human-friendly data serialization standard for all programming languages including ctr. The data structure of ctr is a composition of Objects, Strings, Numbers, and Arrays which makes it a match made in heaven for YAML. Long story made short, if you are unfamiliar with YAML it is similar to JSON just with syntaxical freedom plus comments; alternatively, it can be formatted just like JSON. Description: The ctr parsing process of YAML is dead simple. A YAML file is a composition of Objects and ctr phrases each Object as a separate ctr style instance in which the Object key represents the root CSS selector, and the Object value represents the CSS style properties. Description: The difference between data structures in Stylus compared to YAML is minuscule. There are three big tickets, comments, curly brackets, and Arrays. Comments: A # in YAML denotes a comment compared to Stylus which uses //. Curly Brackets Omit: Brackets can be omitted. 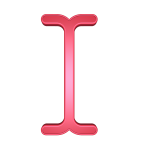 Arrays: In Stylus Arrays are called Lists which allows for the omission of square brackets. However, this is not the case in YAML and to define an Array square brackets must be used. Description: Currently, js-yaml does not support node anchors aka variables. Nevertheless, a variable Object can be defined through an Object with the key of $$. The variables defined in this Object are similar to variables set through the setVariable method. However, unlike global variables, the set YAML variables are only available to the YAML styles defined in the file. Also, global YAML variables can work hand-in-hand with local variables in each YAML style. Description: There are instances in CSS when it makes sense to have key duplication although this is problematic since key duplication in an Object is not possible. To solve this issue an Object key modifier can be used in the following fashion <selector>:::<modifier> and ctr will remove the modifier upon processing the style. Description: The setYamlTransform method creates and sets a hook to transform the raw Object results of the parsed YAML before the data is rendered.